A new version of druid is available for testing now. It looks better, works better and has a host of new features. Try it out now and give us some feedback! 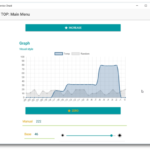 Check the TOS and the licenses associated with whichever piece of the system you want to use, which you’ll find in the “About” tab for the applications. If you’d like to see Druid grow in some particular direction, you can always nudge development here. Or if you just think it’s awesome and want to support the project, you can do that too. 64-bit packages currently available for users and developers. 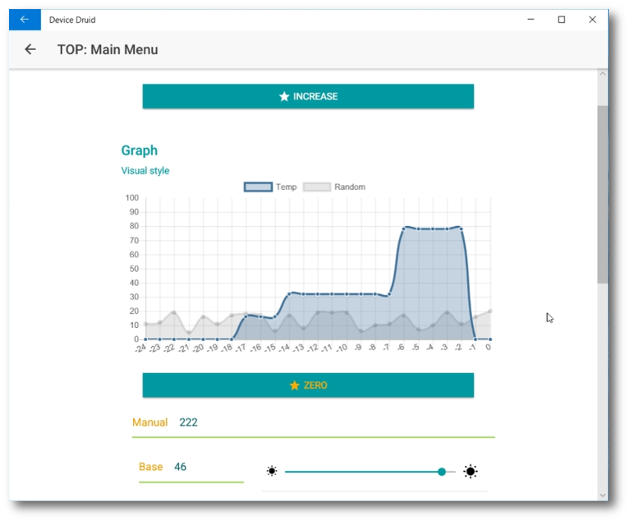 To try out the new and improved version 3 system, pictured on the left, with an updated look, inline visualizations and all the latest features, you’ll sideload the application (which is not yet available through the app store): head to the beta download page to get it. Once you’ve tried it out, please get back with comments, questions and feedback so we can make the next official release truly great. 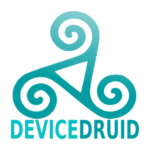 If you’re just using some machine that was designed to work with druid, then all you need is Device Druid. 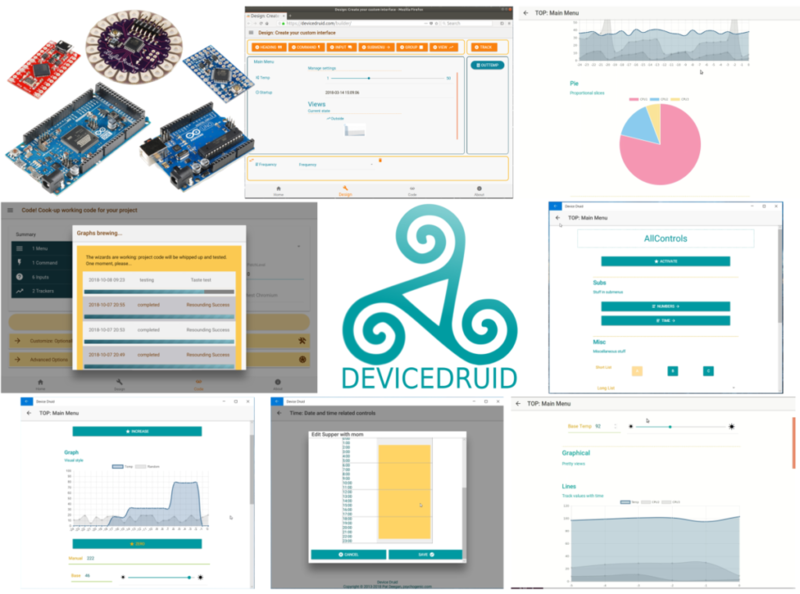 With Device Druid, you can connect to and manage any supported device, issuing commands, sending information and setting configuration as well as visualizing state using the various graphing displays. 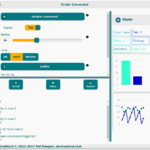 Druid Builder, is now available without installation: right in your browser (note unless you are using the new beta Druid, select the legacy option when you generate the code). 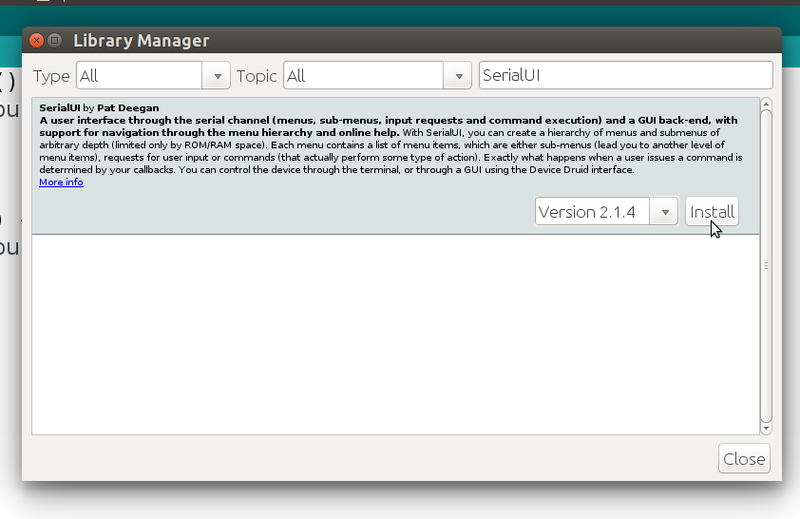 To ensure you can compile firmware for your target device, install the SerialUI library and compile one of the SerialUI examples. Then go to File -> Examples -> SerialUI and compile one the examples, being sure to set your board to the correct type. 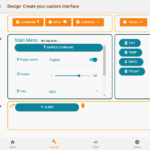 For other build systems, get SerialUI from its project site and install as you would anything else. When that’s working, launch builder and get started! 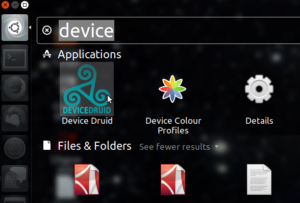 A beta of Device Druid for Ubuntu 18 (known to work) and other Linux distros (need confirmations/testing–from you!) is available now. It’s only been tested on a few machines, let me know how it goes if you try it out. The linux version of the builder is dead, long live the online druid builder! This is the beta version of the druid system. You can use this from any linux machine, of course, but you’ll have to install the beta version 3 of SerialUI to actually compile the code. What is the plural of OS… OSes? Anyhow, there’s nothing in the works for other platforms at the moment of this writing, but there are some (as of yet still rather nebulous) plans. If you’re really, really, interested in some other OS, a (really, really) convincing argument or just an old fashioned bribe might do the trick. Get in touch.